While many patients experiencing neck pain can find relief through non-invasive treatments such as medication and physical therapy, there are frequently situations in which neck surgery is recommended as a more permanent solution. Neck surgery can involve a number of procedures, including cervical discectomy (removal of the damaged disc causing pain), cervical spinal fusion (inserting a bone graft to help immobilize the offending area), and other procedures. You have been diagnosed with a herniated disc. This condition occurs when a disc between the vertebrae ruptures or slips, causing undue pressure on the nerve. You have been diagnosed with one or more bone spurs in the neck vertebrae. Bone spurs are outgrowths of bone caused by the grinding of bone on bone over time; when they occur on the neck or spine, they can cause nerve pressure and damage. You have been diagnosed with cervical spinal stenosis. This is a narrowing of the spinal canal, which obviously provides less room for the spinal cord and can cause chronic or severe pain. You have been diagnosed with degenerative disc disease. Not actually a disease, this condition occurs when one or more discs in the neck or back wear down over time. This also sometimes causes chronic or intolerable pain. You have a deformity that will not be corrected by non-invasive treatment. Many people have spine or neck deformities from birth that begin causing progressive symptoms as they get older. Surgery can help correct many of these issues. You have sustained a neck injury that is has not healed properly. This does not just apply to recent neck injuries; sometimes a past injury can begin causing symptoms years later. 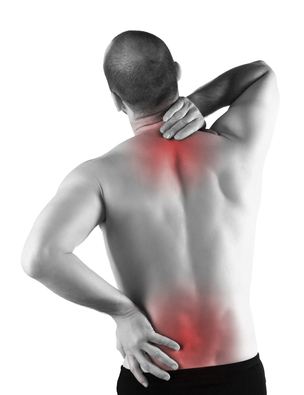 You are experiencing frequent or chronic numbness, tingling or restricted movement. This can occur not just in the neck, but in the arms or legs as well. This can be a sign of nerve compression in the neck or spine that may require surgery. Your pain and/or numbness is not responding to non-surgical treatments. When medicine, physical therapy and rest are not making things better, it’s time to consider neck surgery as an option. Your symptoms are progressively getting worse. This is another sign that surgery may be the next best alternative. You are losing your ability to function at work. In certain situations, neck surgery may be recommended if you are disabled from working and cannot afford to wait to see whether non-invasive procedures will be effective. These are just a few situations in which neck surgery may be an option. As always, your physician is the person best able to advise you as to which treatments are right for you.